At Town Center Dental of LaGrange, we are committed to providing the highest standard of care when it comes to your oral health. However, we also value the importance of treating the patient behind the smile. Therefore, you’ll find that we go to great lengths to make your dental care convenient, comfortable and affordable. We offer a warm office environment stocked with modern amenities for all ages, including a kids play area, complimentary beverages, Netflix and warm scented towels. By creating such a positive experience, we are able to help patients realize how rewarding dental care can be. Our dental team is passionate about doing our part to help you attain a beautiful and healthy smile through all stages of life. At Town Center Dental of LaGrange, we believe that everyone deserves top quality dental care. Therefore, regardless of your age, your budget or the severity of your dental concerns, we are able to create the rewarding experience you deserve. Our office serves patients of LaGrange, Poughkeepsie, Fishkill and the surrounding areas. With more than 15 years of dental experience, we understand what patients need when visiting the dentist. 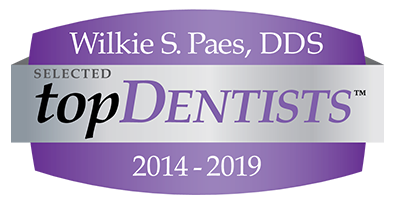 Dr. Paes is a gentle and talented dentist who provides full-service dentistry in one office location. We offer the latest treatments in general, oral surgery, restorative and cosmetic dentistry, including Teeth in a Day service using dental implants. While we are equipped to address all aspects of your smile, we value the importance of carrying out our treatments with attention to your comfort and convenience. You’ll find that our office is stocked with the latest technology in modern dentistry as well as highlighted patient amenities to help you feel at home. From our children’s play area and complimentary beverages to warm, scented towels and flat screen TVs, iPads for filling out patient forms, your entire family can relax and enjoy their time at Town Center Dental of LaGrange. Beyond our ability to keep you comfortable during your visit, our practice also pursues ways to keep your dental care affordable and convenient. Town Center Dental of LaGrange accepts most dental insurance plans, and we offer additional financing plans for those who are not insured. To accommodate your busy schedule, we also allow families to take advantage of Saturday appointment times. At Town Center Dental of LaGrange, we cater to your needs at every step. Contact us today to learn more about our team of professionals or the services we offer in our Lagrangeville office.